Mannon L. Walters, Inc. (MLW) and Mannon Oil are private oil and gas companies with interests in oil and gas wells in Arkansas, Illinois, Indiana, Kentucky, Louisiana, Mississippi, Oklahoma and Texas. MLW was founded by Mannon L. Walters in Evansville, Indiana, in 1992. While studying Petroleum Engineering at Rice University in Houston, he realized that the Illinois Basin held a great deal of untapped potential. He became so passionate about the Illinois Basin that he relocated there and helped local producers drill some excellent wells before striking out on his own and making a major new oil discovery based on proprietary 3D seismic that he obtained in 1994. Harts Oil and Gas World magazine named one of his wells "well of the month" in October 1995. He drilled 11 oil wells in the Hamilton County region between 1995 and 2000 with no dry holes. The challenge was that oil prices were low, reaching $12 per barrel in 1998. Importantly, Mannon proved he could run a profitable oil company even at those prices. However, as an avid student of world economics, Mannon was convinced oil and gas prices would rise, so he strategically set out to secure as much acreage as possible while prices were low, in preparation for an oil boom. That boom has of course come to pass with oil prices reaching $75 per barrel in July 2006, and exceeding $140 per barrel in July of 2008, during which he drilled an additional 22 oil wells in the Hamilton prospect without a dry hole. Although the price has fluctuated since that time, there is a general consensus among forecasters that oil prices will continue to rise over time as a result of growing worldwide demand, especially from China and India. The decision was made in 2004 to ramp up significantly, diversify the acreage, utilize the many excellent industry relationships Mannon had built over the years and build an excellent team. Today's drilling successes, portfolio diversity and access to some of the best minds in the business are the results of his vision and insight. 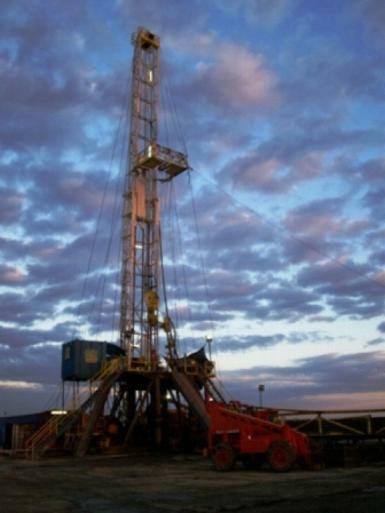 Mannon made a second new discovery in the Illinois Basin in 2005 - deep gas in the New Albany Shale. 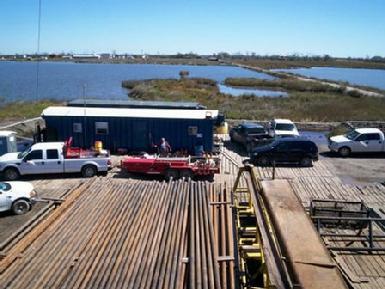 In 2005, Mannon began expansion through the use of limited partnerships by forming Mannon Oil, LLC. In the first year, Mannon Oil raised approximately $28 million for exploration and production projects. Because of the initial successes, Mannon Oil raised an additional $27 million in 2006 and 2007. MLW continues to offer investment opportunities through various deals. In July of 2007, Mannon formed Legend Resources, LLC (Legend) as a wholly-owned subsidiary of MLW for the purpose of acquiring an exclusive license for P-TEM, a geophysical prospecting technology. Legend then sublicensed the technology to Legacy Resources, LLC, another wholly-owned subsidiary of MLW, for commercialization in North America and Europe. � Assist in the interpretation of seismic features with hydrocarbon content. The recently patented technology involves utilization of a passive geophysical prospecting method and apparatus that operates in both ground and airborne configurations to identify hydrocarbon reservoirs by remote sensing of transient electromagnetic pulses. As presented by the inventor of the technology at the 2006 AAPG Annual Meeting, over 30 discovery wells had been documented as being drilled on positive transient-pulse anomalies with, to the inventor�s knowledge, no dry holes drilled on any of the positive anomalies. The technology works over land and water and has been extensively tested in the US and Canada, as well as in the North Sea by MLW and Australia by the inventor. MLW spent millions of dollars in acquiring and implementing the technology throughout our drilling program to identify and confirm new areas of opportunity and to mitigate risk. We expect the technology to significantly impact our success over the long term. The technology is designed as a reconnaissance tool and can be used stand-alone in certain circumstances to discover new potential hydrocarbon deposits. However, the technology is also used very effectively in conjunction with other technologies and conventional geological and geophysical interpretation methods to offset inherent uncertainties in these methods and to provide additional insight into the presence and extent of hydrocarbon deposits. a. Be a proactive company, generating its own growth opportunities in house, as well as acquiring third-party generated prospects. MLW will strive for majority interest in each project and will function as the operator of each project, whenever possible. b. Focus on projects and trends where it has a better competitive advantage and where standards for high profitability and minimal risk can be achieved. c. Achieve and maintain technical proficiency in each geographic area of activity. Build upon the individual experience and capabilities of internal staff, heavily utilizing the knowledge and experience of key local and regional technical experts. d. Minimize overall company risk by focusing approximately the majority of efforts on development projects with low-risk, proven reserves and with upside potential, and a limited amount on select high impact exploration projects. e. Reduce and mitigate risk, using all practical technology to assess the relative merits and potential of each prospect and to minimize the risk of dry holes. f. Incentivize professional and technical partners to maximize the opportunities for success in each project. g. Strive to keep operating costs and overhead low to maintain maximum operational flexibility. h. Utilize the tax code to minimize the tax impact on Investors.